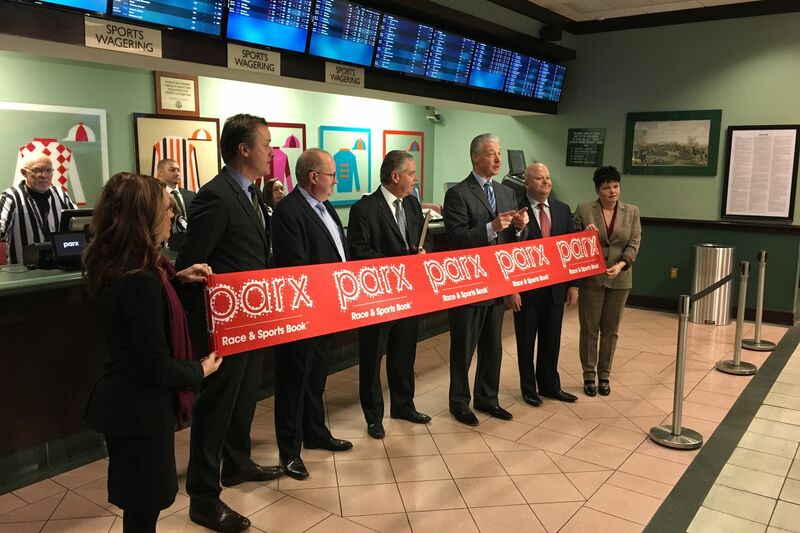 Parx Casino, here at last month's official opening of the Parx Race and Sportsbook located at the South Philadelphia Turf Club, now want to open a second satellite sports-betting outlet at the Valley Forge Turf Club. Parx Casino plans to open a satellite sports-betting outlet at its Valley Forge Turf Club in Oaks after successfully launching a sportsbook last month at its other off-track-betting location in South Philadelphia. The casino’s parent company, Greenwood Gaming and Entertainment Inc., filed a petition Friday with the Pennsylvania Gaming Control Board to renovate the Valley Forge Turf Club at 600 Cresson Ave. as a satellite sports-betting location. The facility, which opened as a horse-betting and simulcast facility in 1996, is just off busy U.S. 422, across from the Marketplace at Oaks. Parx did not disclose a opening date. The company’s application described the site as an “ideally suited" to sports betters and travelers because it is located near the Pennsylvania Turnpike, Valley Forge National Park, the King of Prussia Mall, and key suburbs, including the Philadelphia region’s Main Line. The site also has a sports bar. Parx, the state’s highest-grossing casino, last month opened a sports-betting facility at its Bensalem casino, joining Harrah’s Philadelphia Casino and Racetrack in Chester and SugarHouse Casino in Philadelphia in the competition to capture legal sports wagering business. The U.S. Supreme Court in May legalized sports betting outside Nevada. As the owner of two off-track-betting outlets, Parx also has a market advantage over its competitors because it can open up the satellite sportsbooks under its one $10-million sports-betting license. Sports betting also could potentially revive business at the off-track betting outlets, which has slumped as the popularity of racing has declined. The Valley Forge Turf Club is two highway exits from the Valley Forge Casino Resort, which has been approved for sports betting. The Parx Race and Sportsbook at the South Philadelphia Turf Club is on Packer Avenue, across the street from the planned Live! Hotel and Casino Philadelphia, scheduled to open at the end of 2020. The plans to renovate the Valley Forge Turf Club also require the approval of the Pennsylvania Horse Racing Commission, which licenses the facility.